Transcription: Think it over. 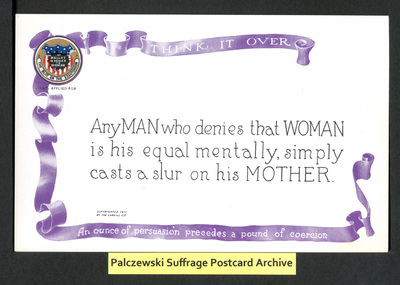 Any MAN who denies that WOMAN is his equal mentally, simply casts a slur on his MOTHER. An ounce of persuasion precedes a pound of coercion.